24 is pretty close, also. Vis a vis the handkerchiefs, did you look at all three pages, 46 handkerchiefs? There were a couple on the latter pages that looked similar, for instance, 24.40. As I understand it, most embroiderers call the stitching with tight tension "pulled thread" or "drawn fabric" (I try to avoid this last one). "Drawn thread" removes threads in one direction. 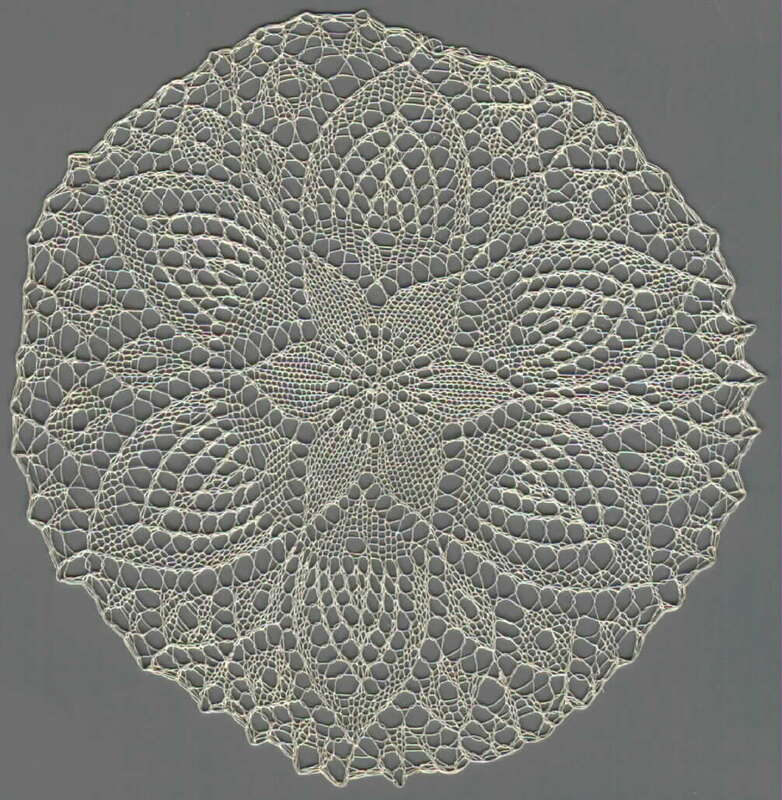 "Cutwork" means squares or curvilinear areas of cloth cut out and then filled with stitching. 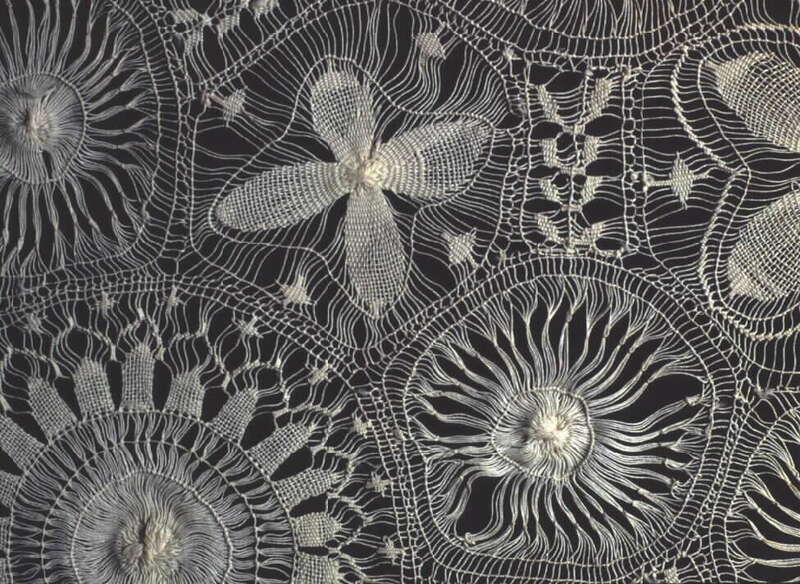 Terminology is a nightmare in every textile craft, but bobbin and needle lace have worse problems than embroidery does. And the differences in usage between museum curators and actual practitioners is also a hairy problem. Drives me nuts. Again, I am not an embroiderer, but I thought that the problem with this area of terminology was that "drawn thread" could mean either a cut and removed thread or a deflected thread, so, I thought the solution was "deflected thread" versus "withdrawn element". I could definitely be wrong about this, and bow to your authority as an embroideress. 48.121.2 seems to be closest to John's piece, in terms of workmanship and techniques. Devon, what you called "deflected thread" is what I meant by "pulled thread"--the term used by embroiderers for holes made by stitching with tight tension. 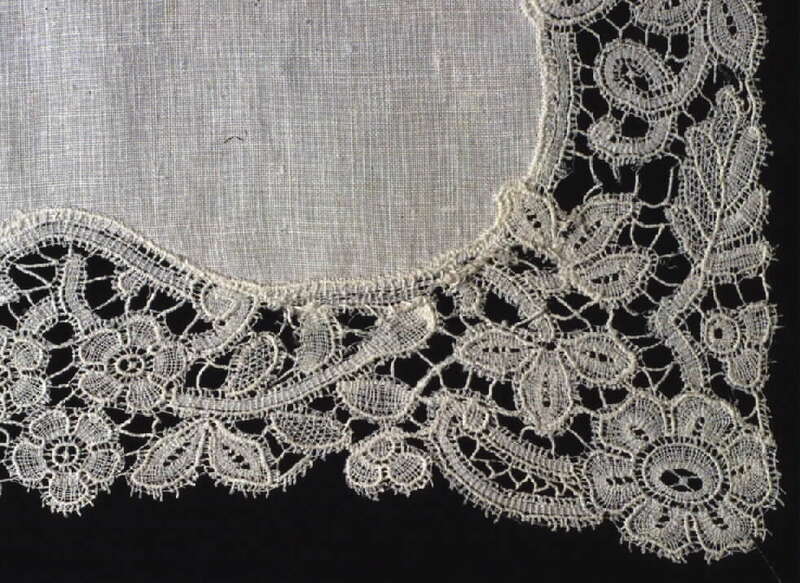 When threads are actually removed, embroiderers call it "drawn thread". http://www.metmuseum.org/collections/search-the-collections?what=Te... should display the search for embroidered handkerchiefs at the MMA. Let's see if it does. 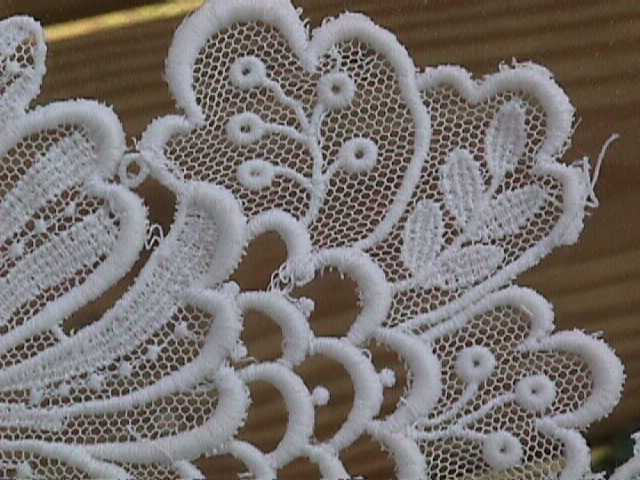 This is not my area of expertise since it is actually White Work, not lace. But, I think the lattice looking areas are "deflected thread" meaning that embroidery stitches are used to cinch the threads together to form that appearance, but that threads are not actually removed. This is quite common in White Work produced in a variety of places, but some of the best is Appenzell produced in Switerland. 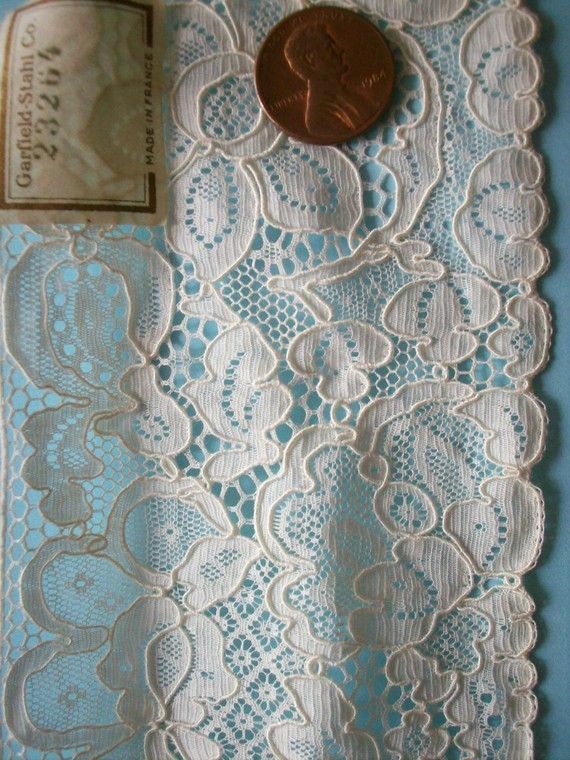 There is a chapter about Appenzell in the book 20th Century Linens and Lace, by Scofield and Zalamea that John may like to read as he seeks to document his find. 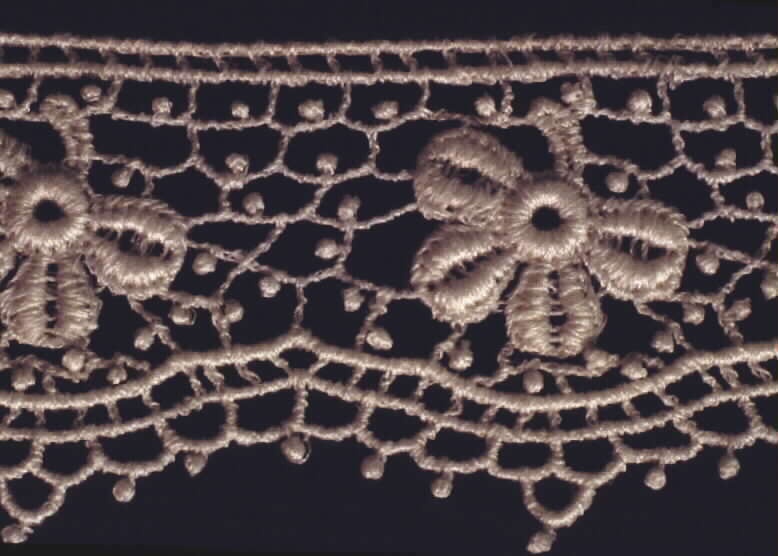 There are a number of pieces of this kind of work in the Metropolitan Museum which can be searched in the on-line collections, What (textiles) What (embroidery) what (handkerchief) is the search, but I will see if I am able to link in another message. These seem mostly to be late 19th and early twentieth century and many say they are French in origin. The possibility always exists, of course, for a third world origin for such labor intensive textiles. John Simms just recently joined our network, and indicated that he wanted help identifying a piece in his collection. John, I assume P501 is the one you meant. 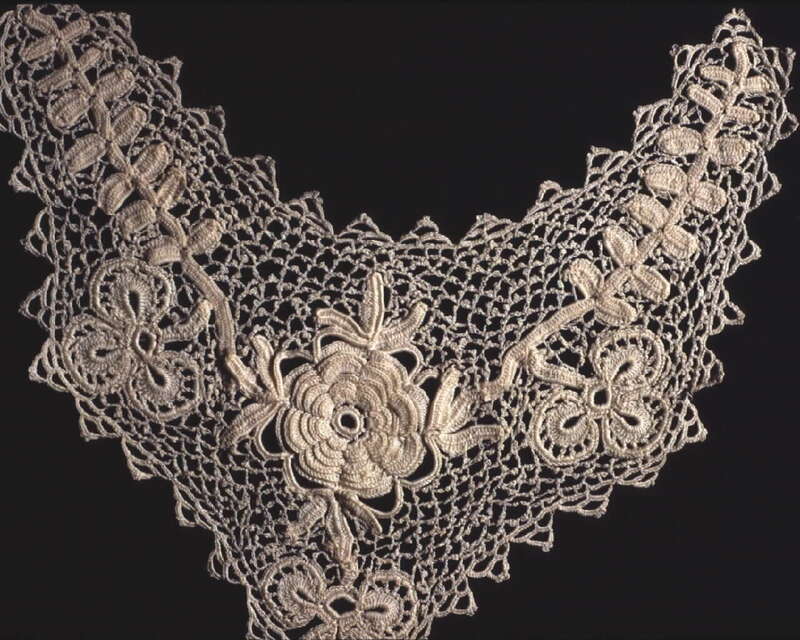 It is an embroidery which has some lace-like elements, rather than a lace. The woven cloth is all still here. I'm not knowledgable about antique embroidery. This piece does appear to have some pulled thread elements in it. In 34 the flower centers are eyelets. 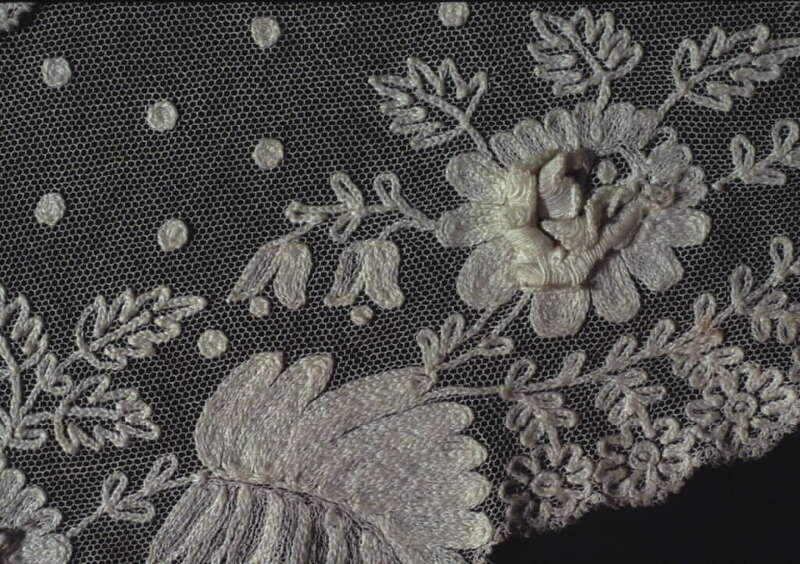 In 31 along the left, half of each leaf is pulled thread, possibly a variety of satin stitch. 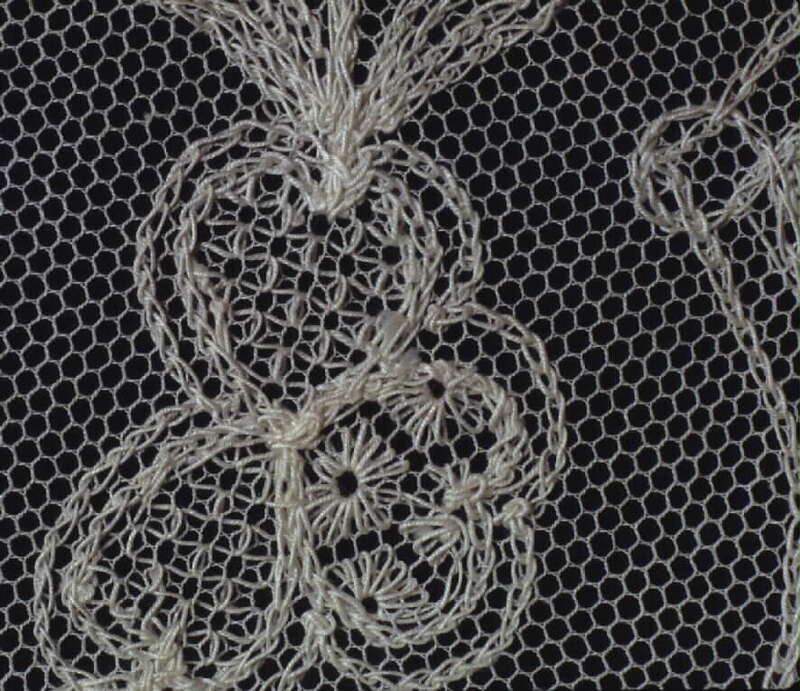 In the upper right corner that curved line of openwork may also be whipped, with no fabric threads actually removed. The partial flower center visible in the upper right corner is definitely not pulled thread. A circle of fabric would have to be cut to make that shape, and then stitches were added to make the filling in the flower center. In 28 the grapes have eyelets at their tops. In 26 the flower center above the bird's head is a pulled stitch of some kind. The 2 flowers below the bird's head would have the cloth center cut out, with stitching added afterwards. But one problem with the whole piece is that the closeups are out of focus, so I can't see the actual threads. I could name stitches for you if I could see the threads. The rest of the embroidery is satin stitch. But there are some areas with fillings made on counted threads. But as to where and when this style was popular, I haven't a clue. 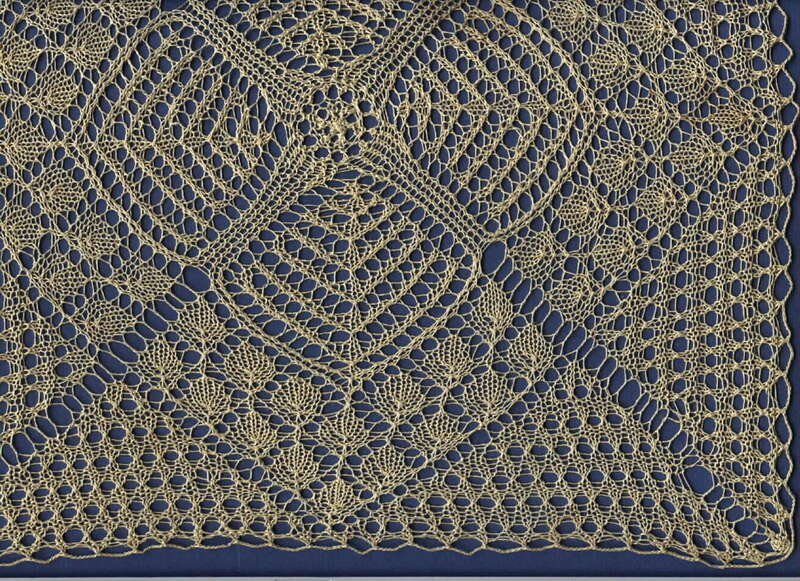 It bears some affinity to Dresden work, a very fine, small scale form of pulled thread. 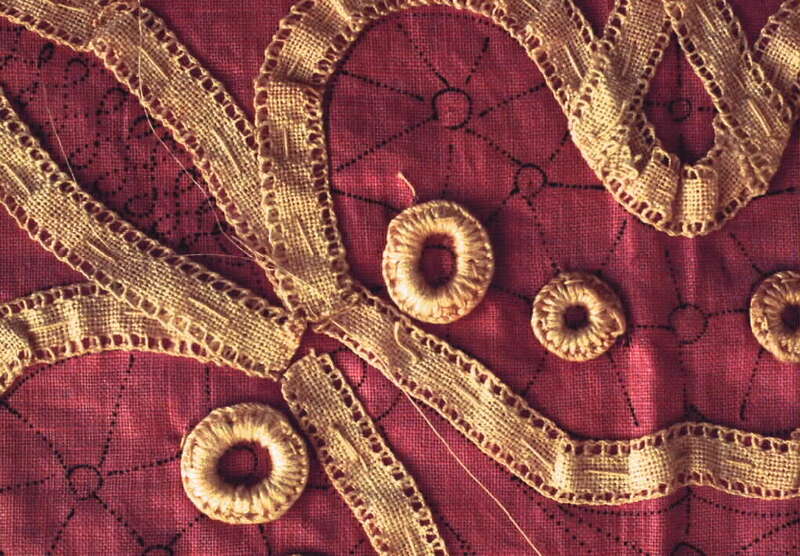 But embroideries properly called Dresden, would be 90% pulled work and only 10% curviliear motifs in satin stitch. This piece has the ratios the other way: 98% satin stitch 2% pulled stitches. On Devon's piece: Very interesting. The ninepin edge is reminiscent of Bedfordshire, but nothing else is. I would call it continental guipure, except that the dome and 2 spires suggest Byzantine lands and orthodox churches. (But I am no expert on European churches.) And the scale is like Bedfordshire. What an interesting collection of elements.